Lawmakers have called in a psychiatrist to discuss president Donald Trump’s “mental health.” The psychiatry professor at Yale, who believes President Trump’s mental health is a mounting emergency, made her case to more than a dozen members of Congress last month. This appears to be “Plan B” right out of the deep state’s playbook. 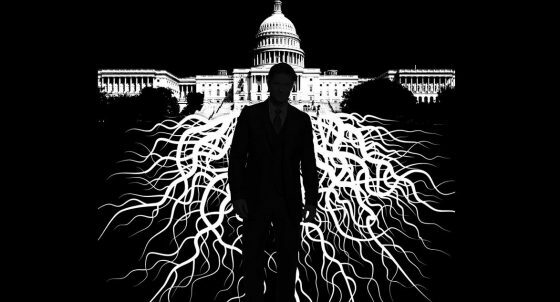 Yesterday, SHTFPlan reported on an interview with Roger Stone, in which Stone details the lengths the deep state will go to in order to oust Trump. But the deep state’s Plan B is to invoke the 25th Amendment. “So we’ll see an uptick in all of this ‘Trump is mentally imbalanced, Trump is insane, Trump must be removed,’” Stone warned. “Now you have to examine the extent to which they can whip up that hysteria as a backdrop because, without that hysteria, such a political move on the president will fail.” And once Plan B fails, the globalists will move on to Plan C, which is simply an assassination. -SHTFPlan. According to Axios, one Republican Senator was present at the meetings, along with a dozen or so Democrats. Dr. Bandy X. Lee, said Trump is “going to unravel,” and that “the rush of tweeting is an indication of his falling apart under stress. Trump is going to get worse and will become uncontainable with the pressures of the presidency.” Politicoreports that Lee has been invited to speak again at Rep. Rose DeLauro’s house later this month with other lawmakers. These meetings lasted over 16 and took place over the course of two days back in December. It certainly looks like we are being told exactly what’s going to take place, and it’s unfolding before our very eyes. According to AOL, Lee’s remarks were clear. “From a medical perspective, when we see someone unraveling like this, it’s an emergency,” Lee said. “We’ve never come so close in my career to this level of catastrophic violence that could be the end of humankind.” While Lee made it clear that psychiatrists are prohibited from diagnosing from afar, she pointed out that President Trump’s pattern of behavior was a worrying sign. The latest example comes in the form of an Instagram rant in which Green Day frontman Billy Joe Armstrong had a mini meltdown over the presidents latest tweet about North Korea, eventually going on to attack his own fans who support the president while joining with the deep state echo chamber in calling for the use of the 25th Amendment to remove him from office. For the deep state’s plan B to work, a hysteria must be whipped up to convince the easily manipulated that their very lives are in danger. And as we can plainly see, that’s exactly what’s happening. However, when Plan B fails, the deep state’s Plan C is to assassinate the president.